In this compelling thriller, Larry Crane takes readers back in history, weaving together the stories of two abducted girls—one factual, one fictional—as a framework to explore questions of truth, justice, character flaws, and marriage. After a stranger abducts Marcella and Gavin’s young daughter, Hannah, on her way to school, the couple struggles not only with the horror of her loss, but also with their utter helplessness. They hire a private detective and try to get on with their lives—moving halfway across the country to New Jersey in search of a new start. Once in New Jersey, however, Marcella becomes obsessed with the infamous Edgar Smith, accused of murdering a young girl—and with finding out the truth about his involvement in the crime. As Marcella’s investigation takes her deeper into the heart of the mystery, new information about Hannah’s disappearance comes to light and calls into question Marcella and Gavin’s ability to face the truth about themselves, their marriage, and their daughter’s disappearance. 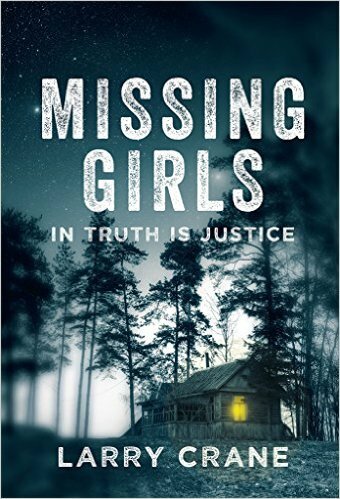 Missing Girls is a blisteringly smart novel that weaves together mystery, thriller, true crime, and alternate history into a fast-paced psychological drama.